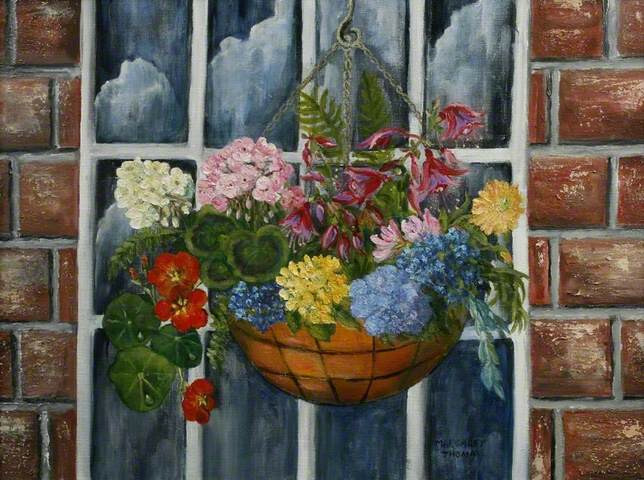 Margaret Thomas was born in London on 26 September 1916. 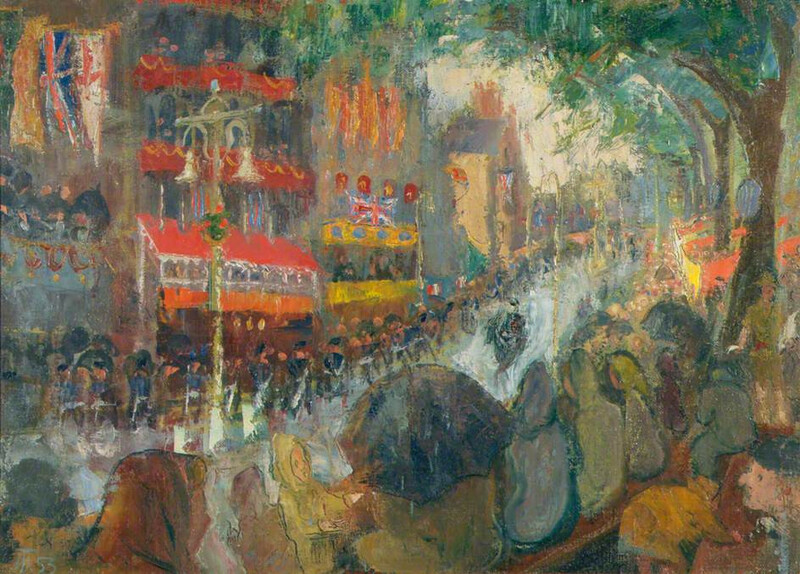 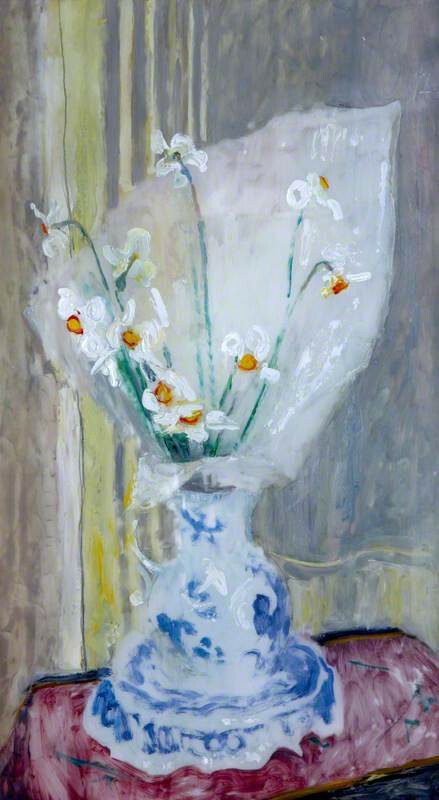 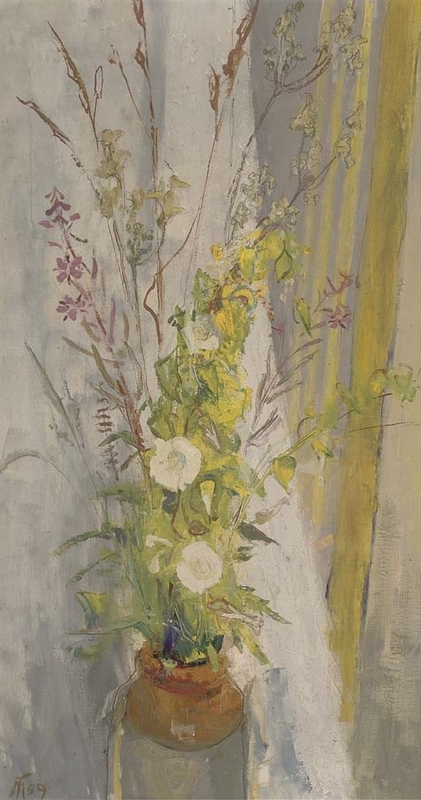 She was introduced to the world of artists, at the age of 12, by her governess Dora Salman who had been at the Slade with Ethel Walker before the Great War. 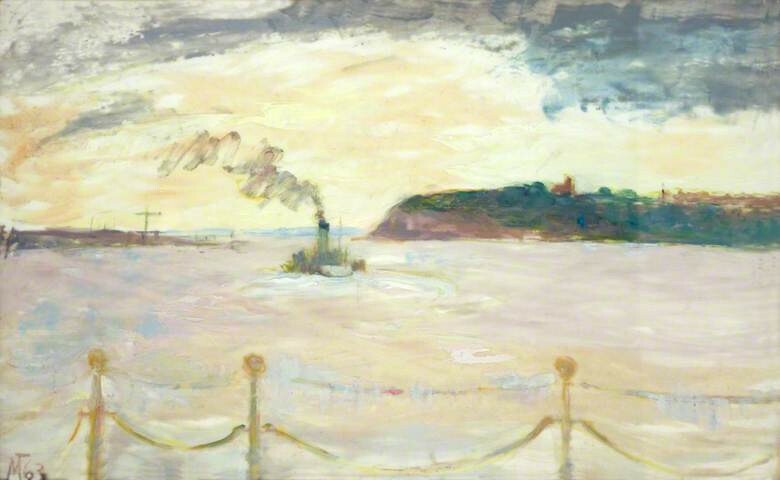 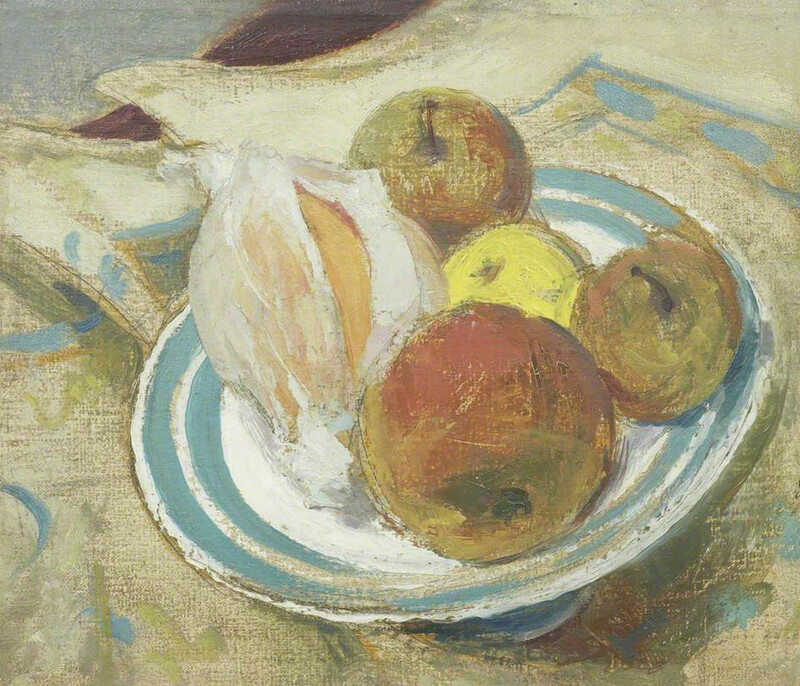 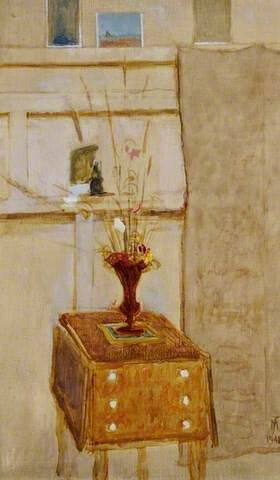 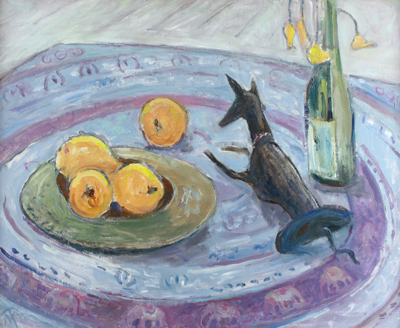 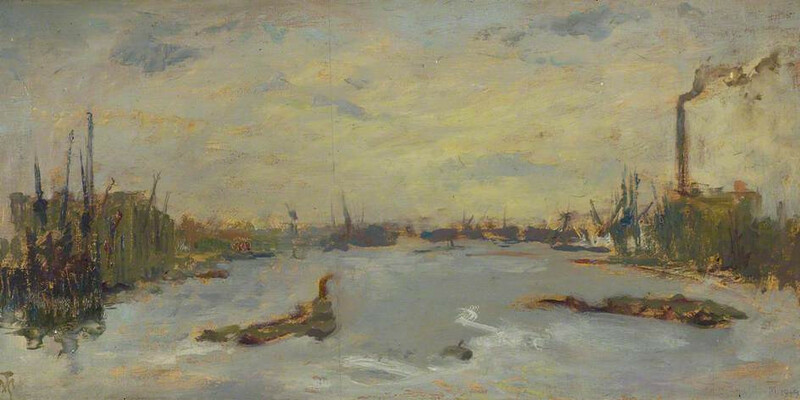 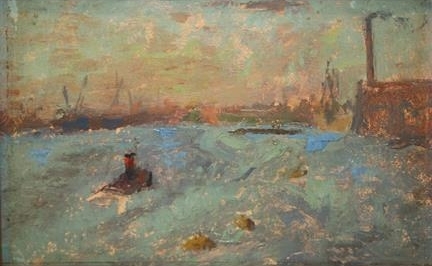 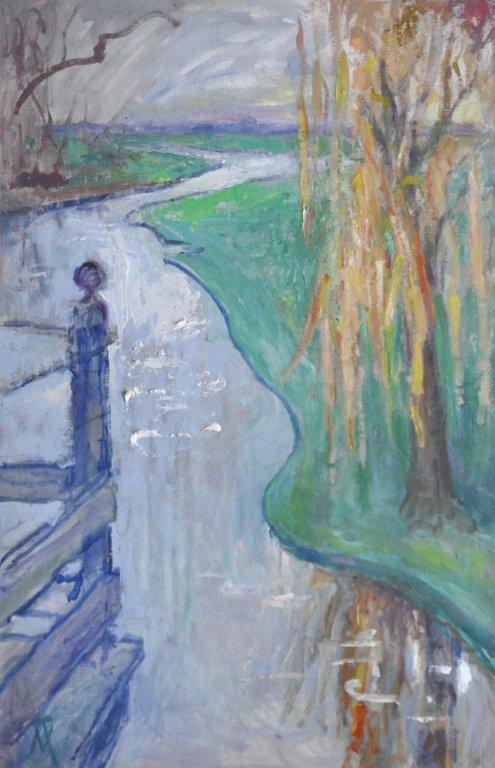 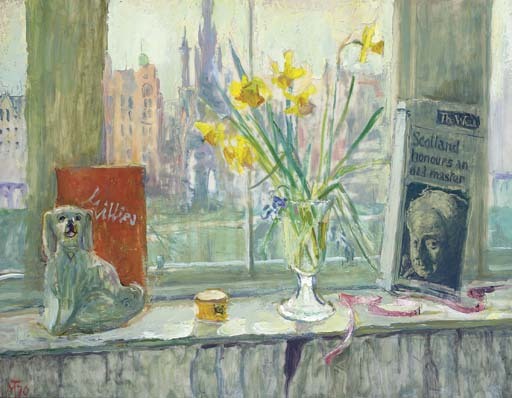 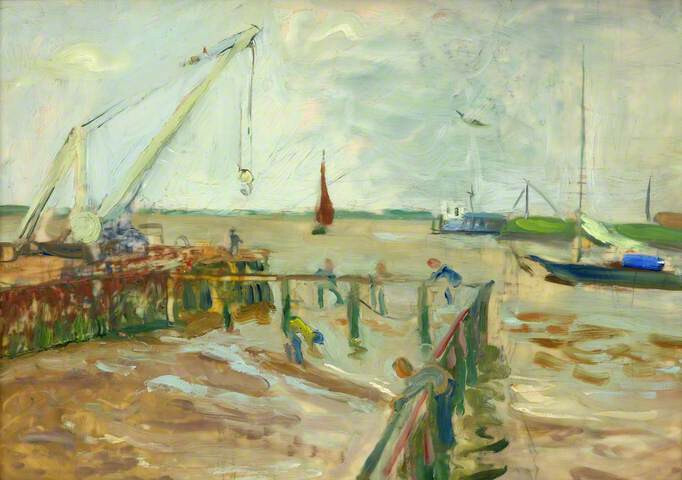 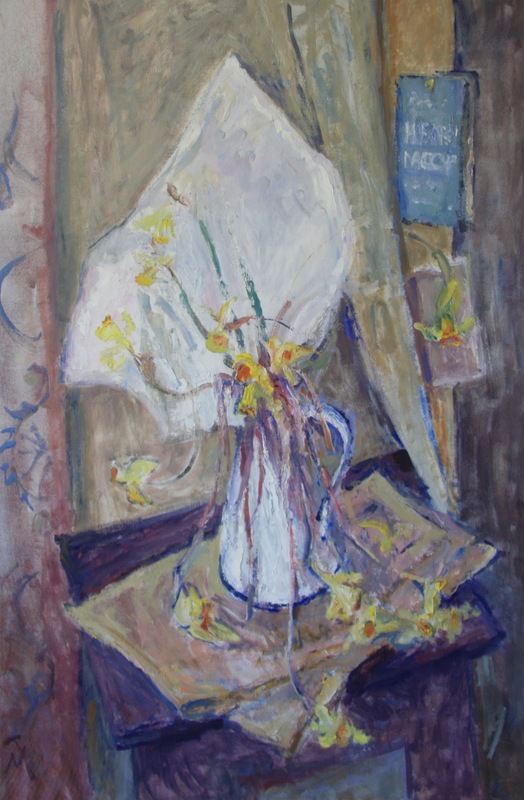 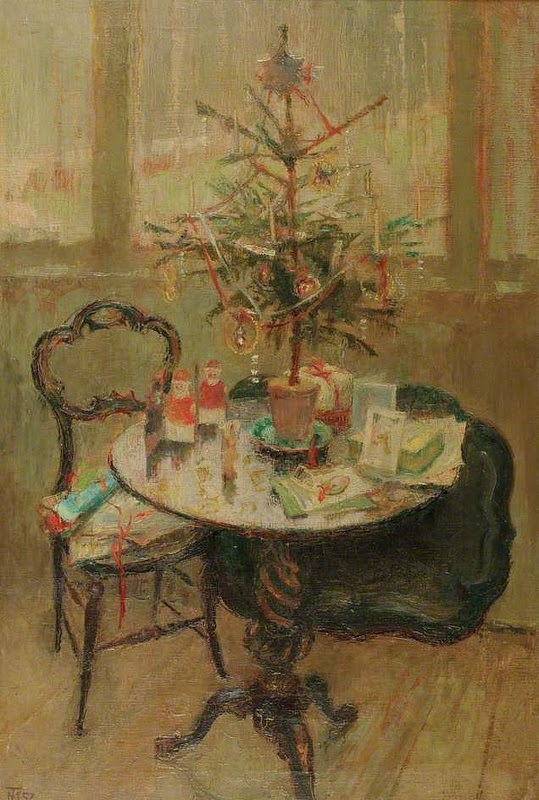 She took Margaret to see Walker at her Thames-side studio and introduced her to other women artists such as Clare Atwood, Beatrice Bland and Eleanor Best. 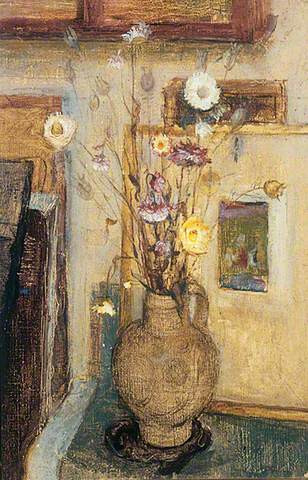 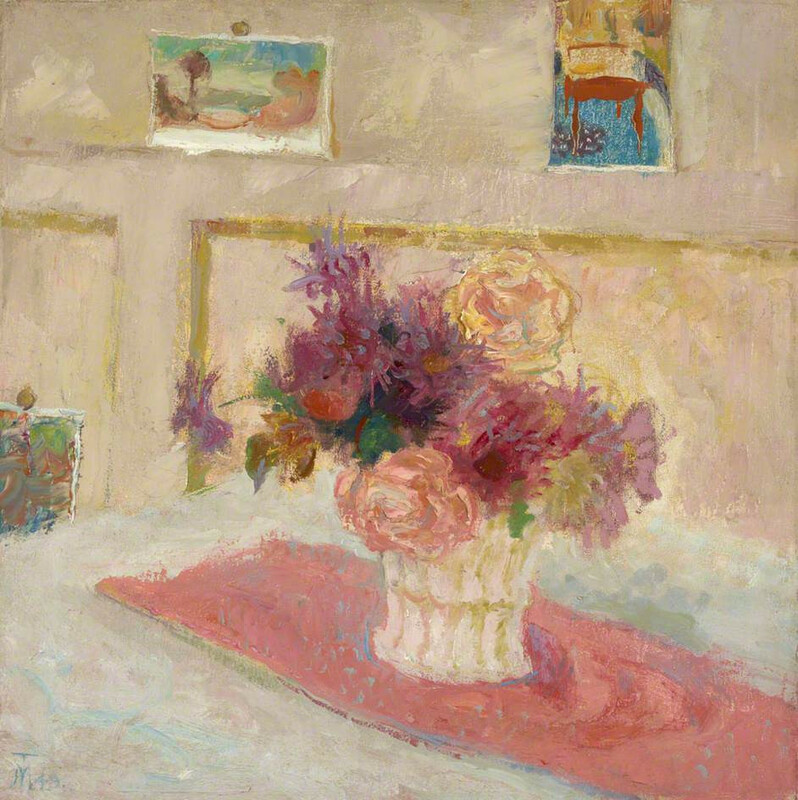 In 1934 Margaret enrolled at Sidcup School of Art where the influence of the Head of Painting Barry Craig has remained with her to this day. 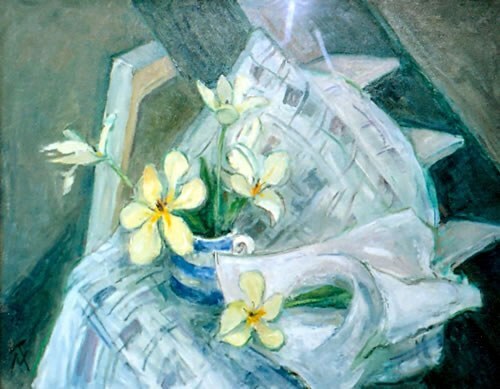 In 1936 she won a scholarship to the Slade, which she did not enjoy. 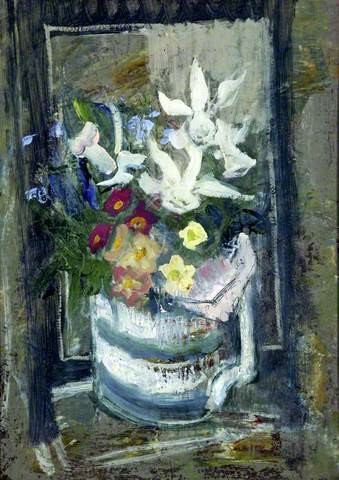 The teaching was stuffy and the teachers, with the exception of Alan Gwynne-Jones, were unknown as artists in the world outside. 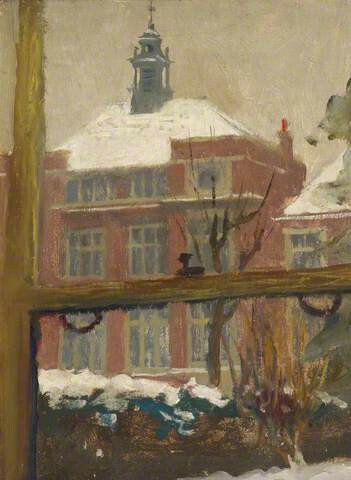 She applied to move to, and was accepted by, the Royal Academy Schools, where the teaching was more progressive and disciplined. 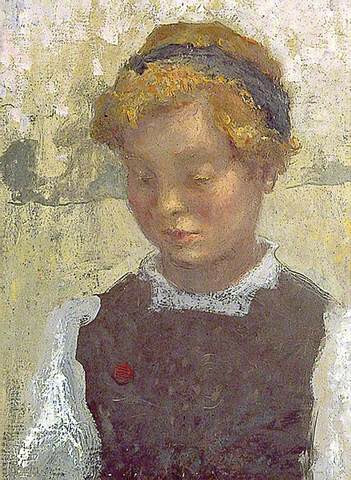 Sadly the school closed in the war and Margaret, being an ardent pacifist, went to work on a dairy farm and an apiary in Wiltshire. 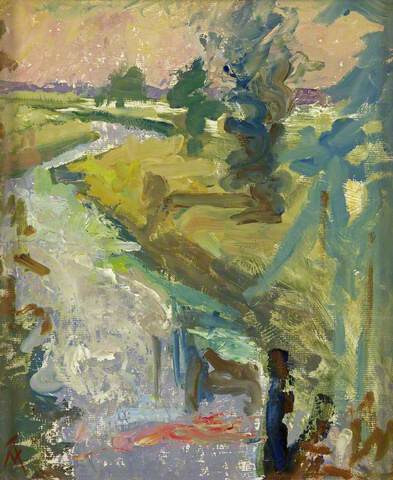 There she discovered her love of the countryside. 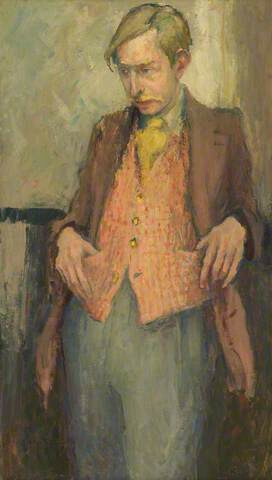 After the war she built up a career with portrait commissions and one man shows, the first at the Leicester Galleries in 1949. 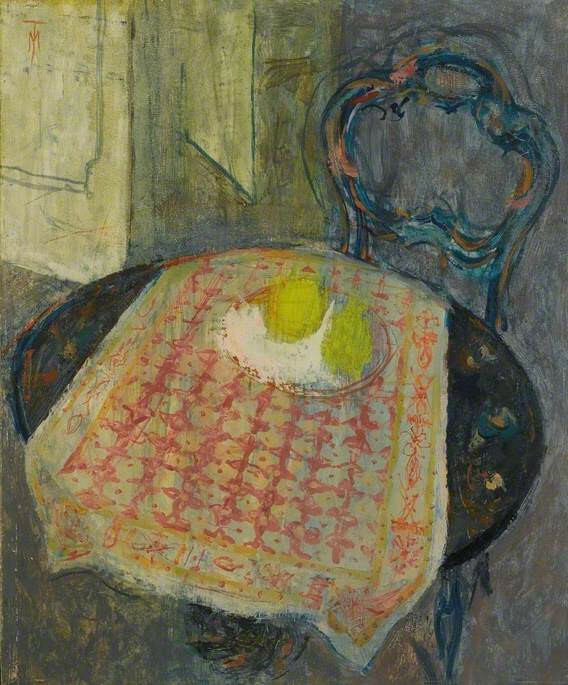 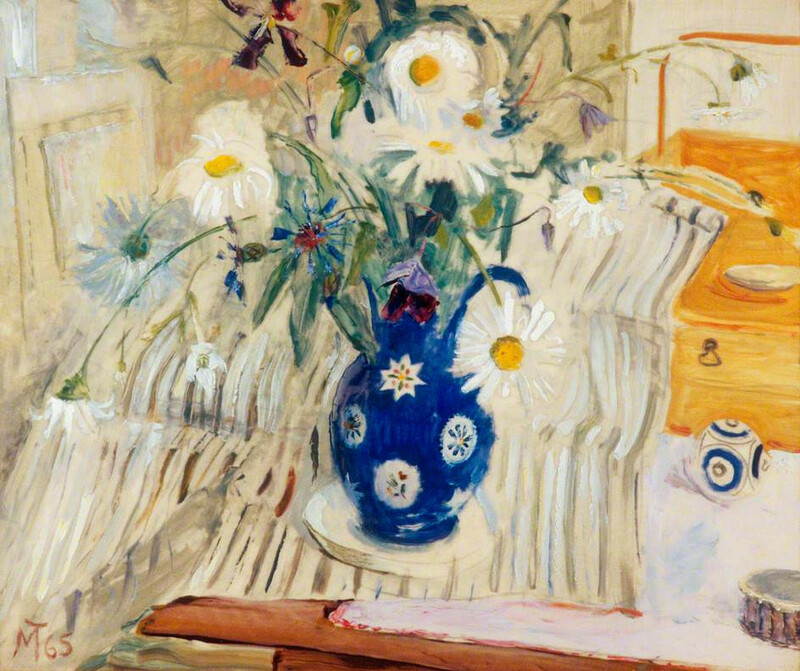 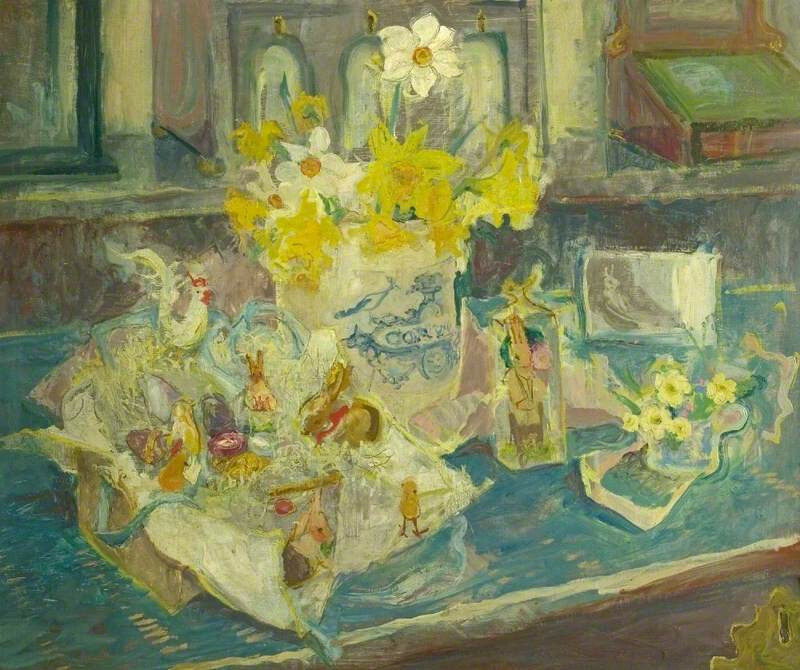 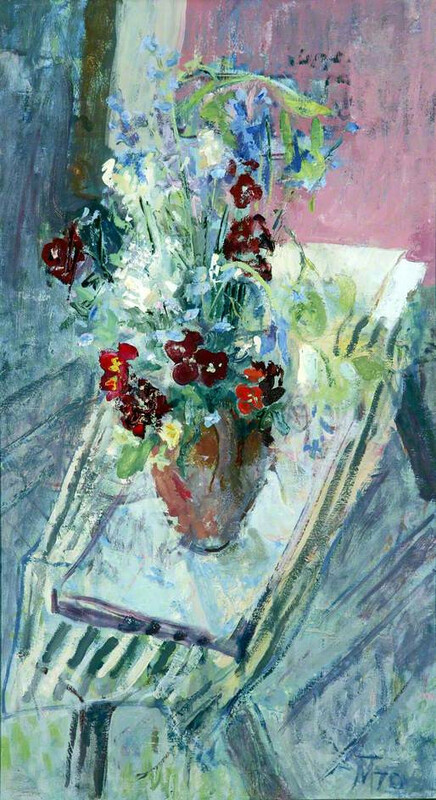 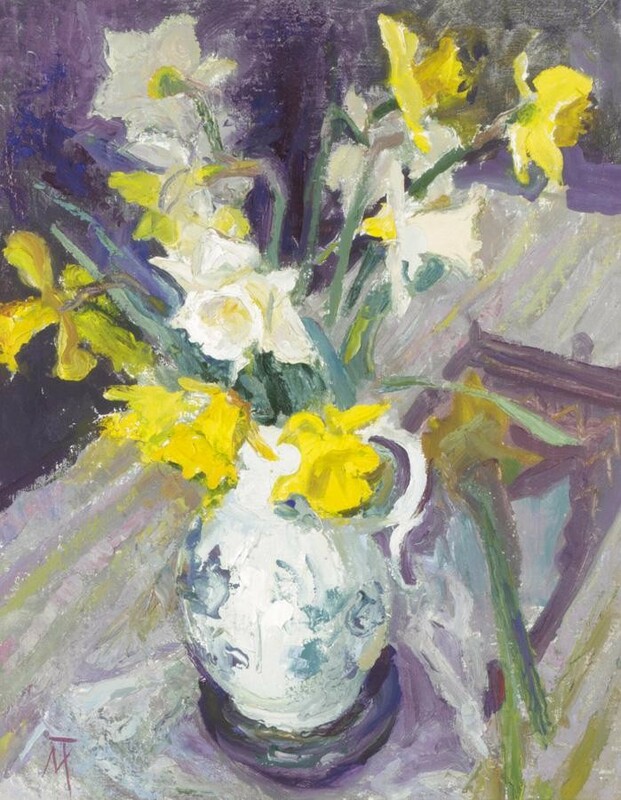 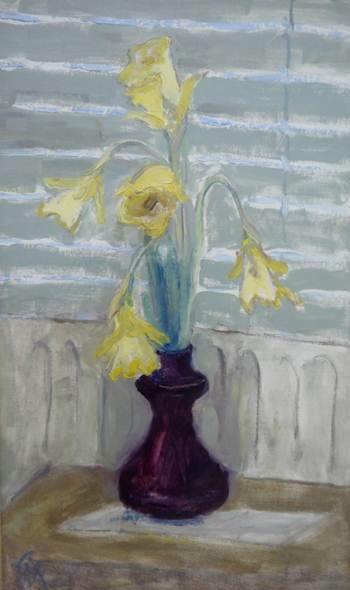 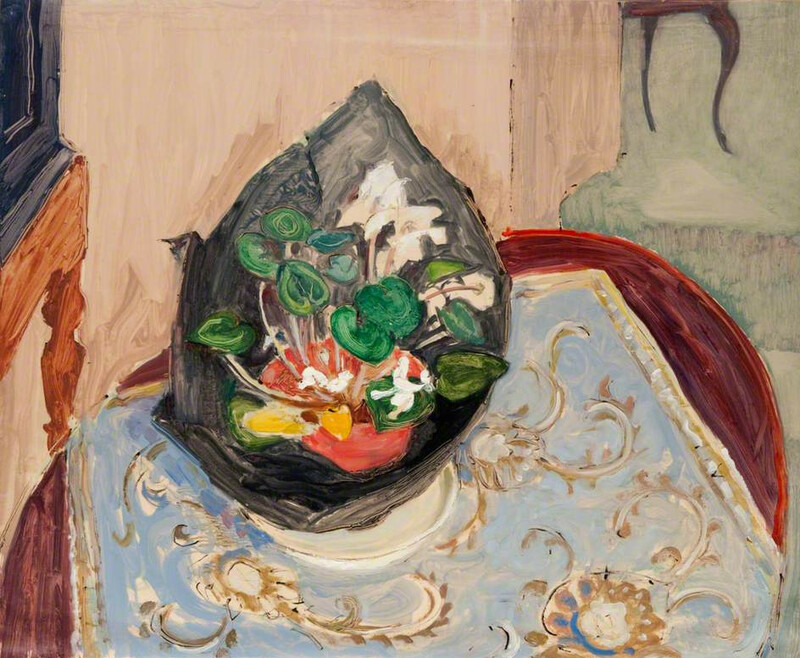 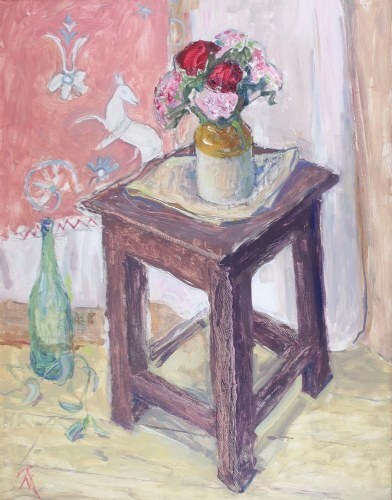 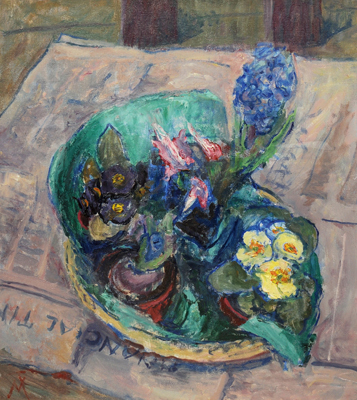 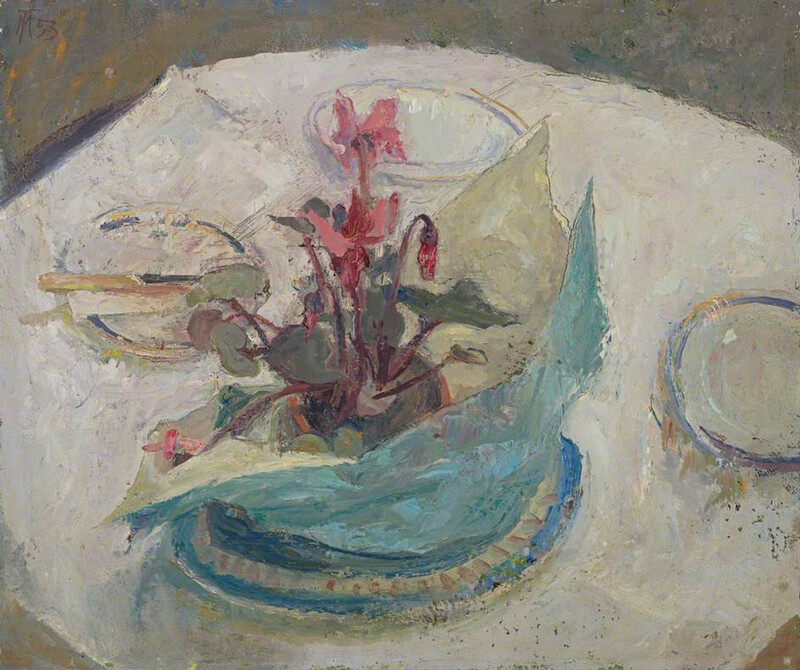 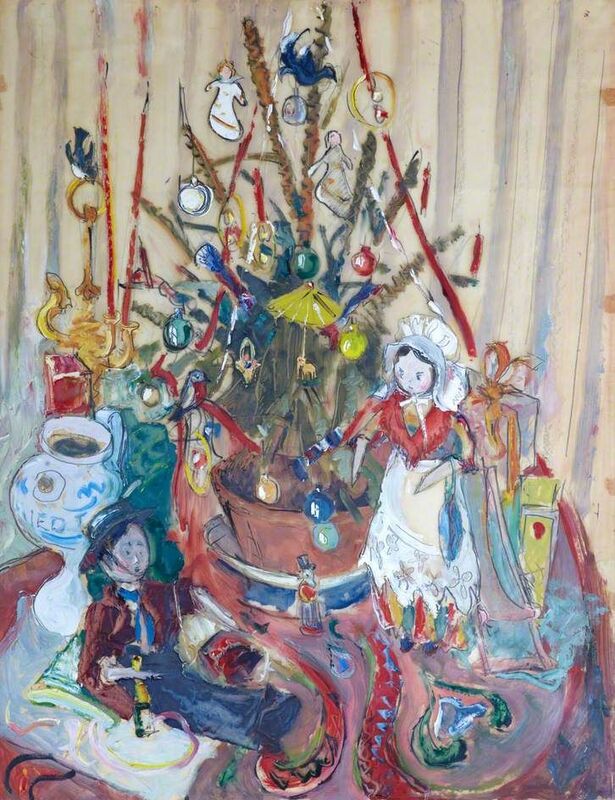 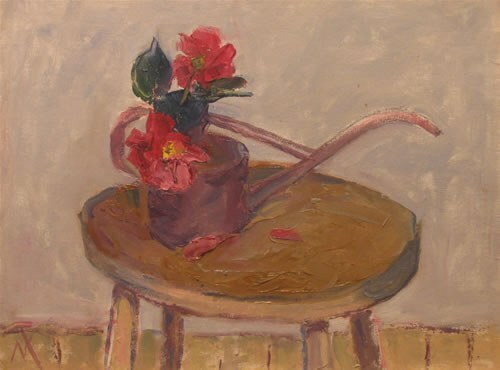 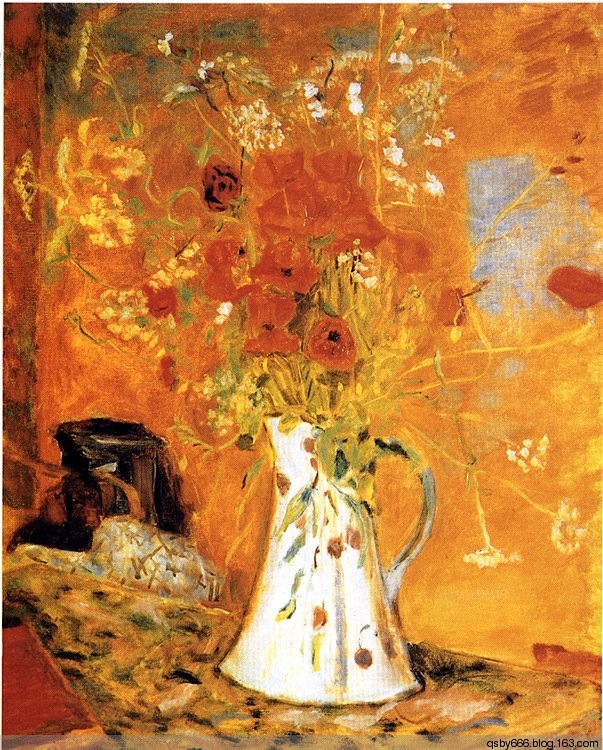 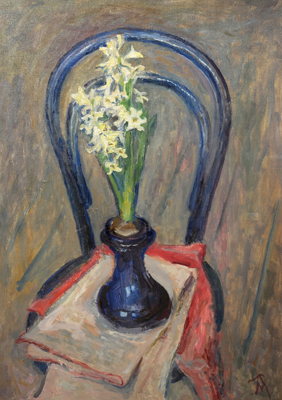 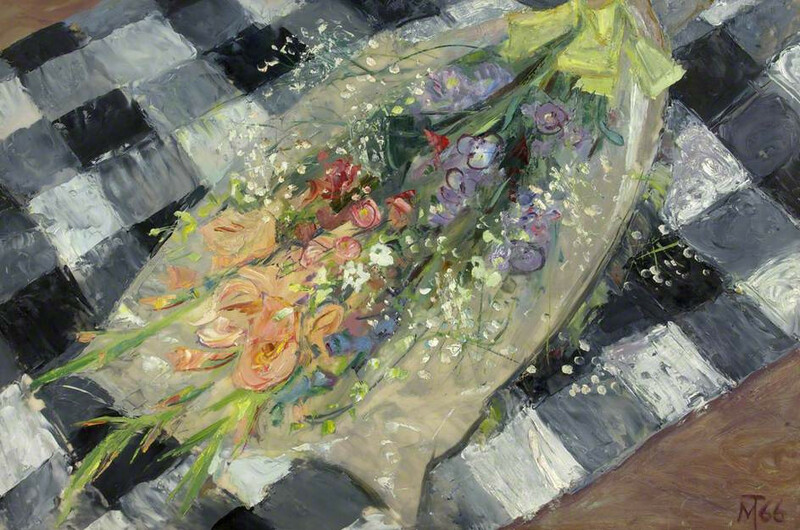 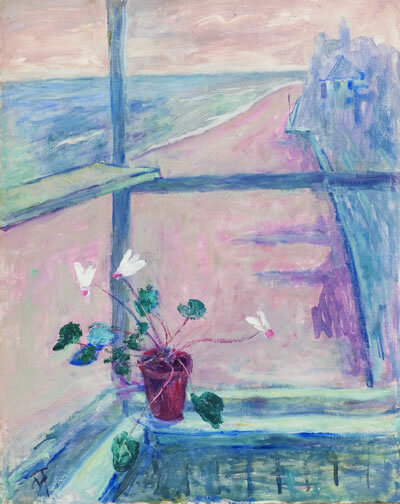 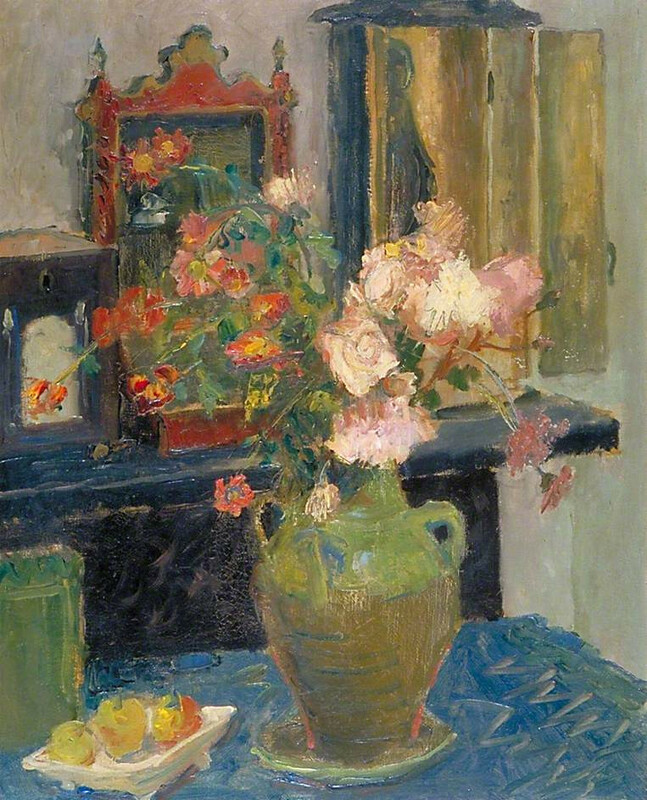 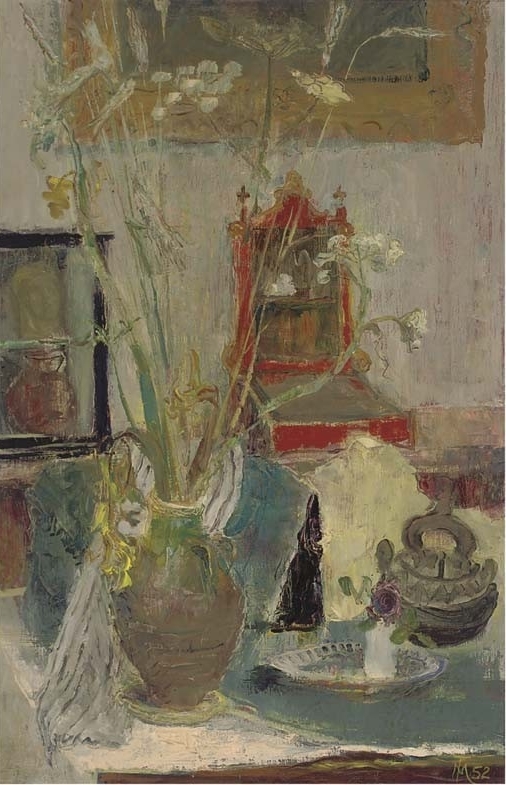 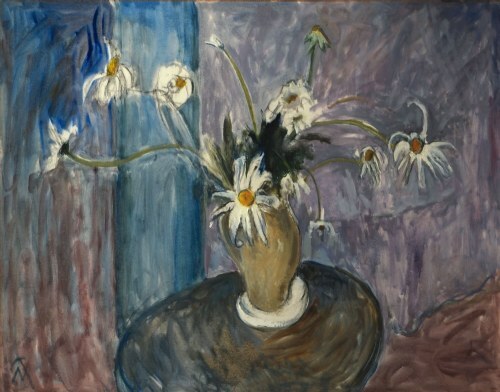 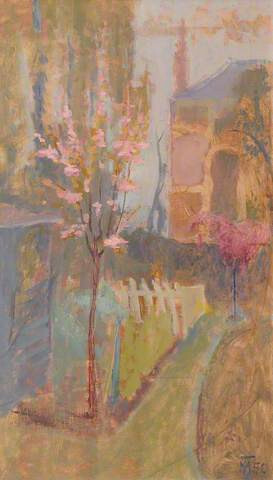 She was elected to the New English Art Club in 1951 and has exhibited at the Royal Academy Summer Exhibition for 46 consecutive years. 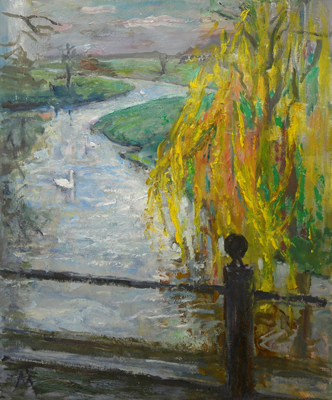 Rivers have played an important part in her life: the Norfolk Broads, near her father’s home, and the Thames at Shorne, Gravesend, Bankside, Greenwich and Cherry Garden Pier. 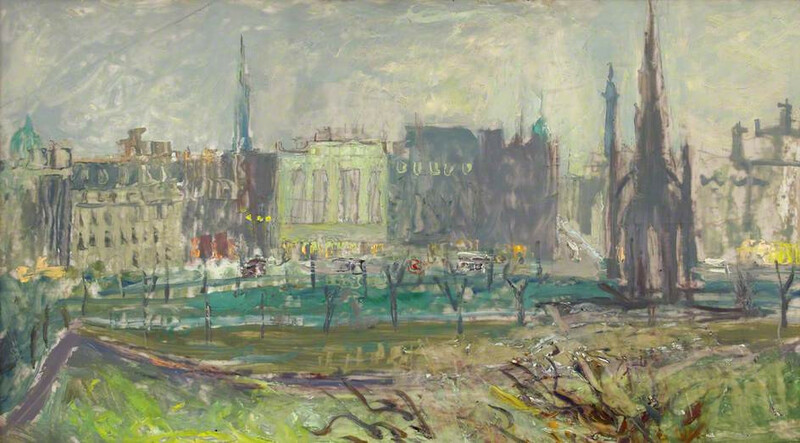 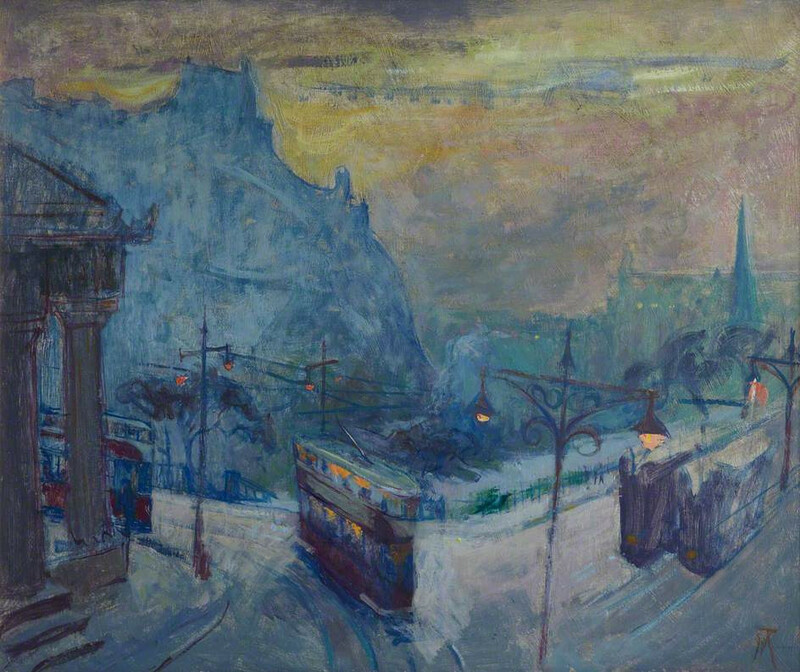 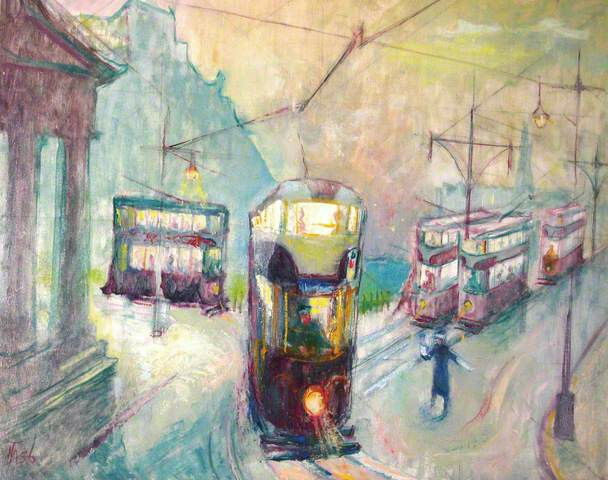 In 1956 she bought her ‘Edinburgh eyrie’ with views over the Forth and the city. 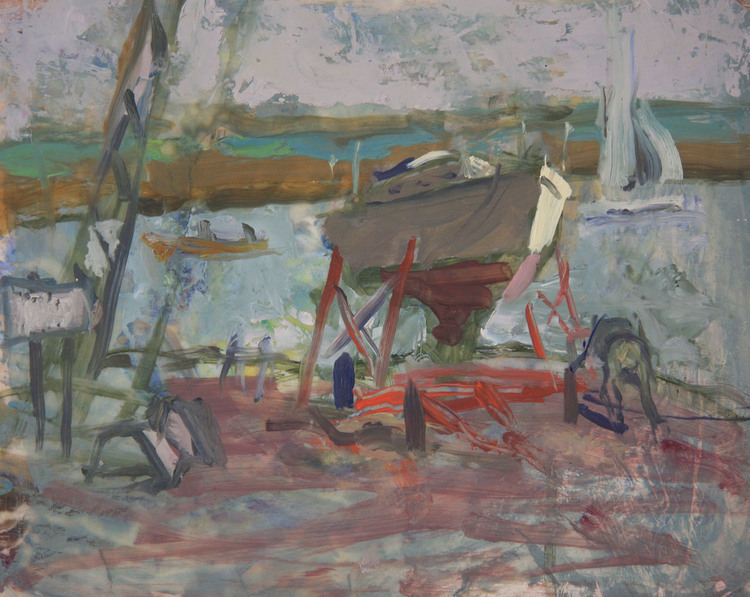 In 1972 she found a little boathouse studio on the quay at Orford in Suffolk, which served as her escape from London. 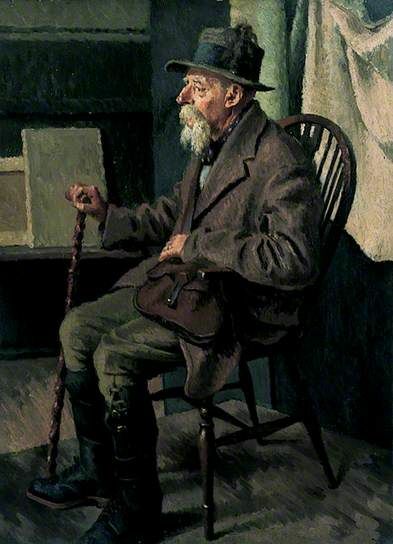 Since 1984 she has lived in a watermill in Norfolk with her constant companions, a line of Bedlington terriers Larrie I, II, III and IV and Sir Edward and Lady Rosie Bear, teddies of noble bearing. 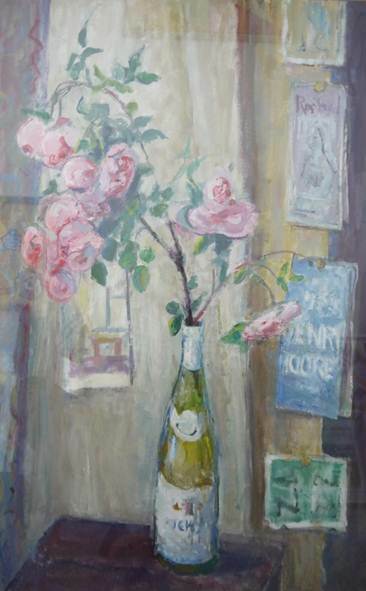 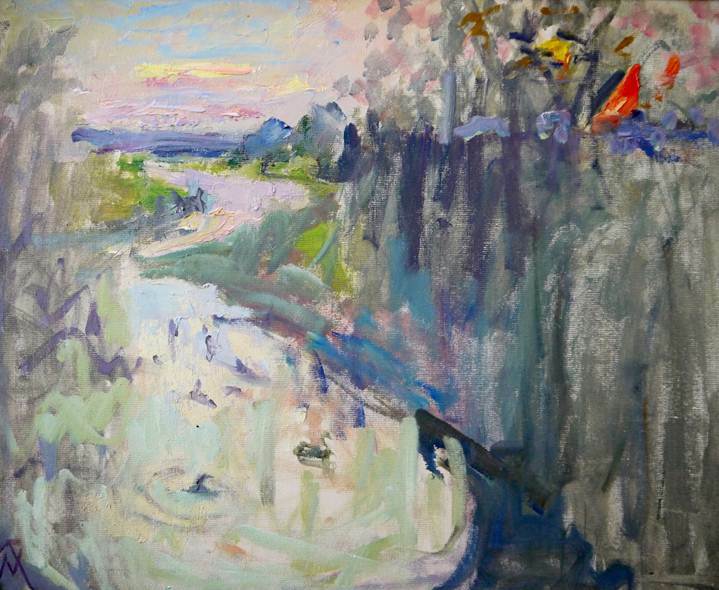 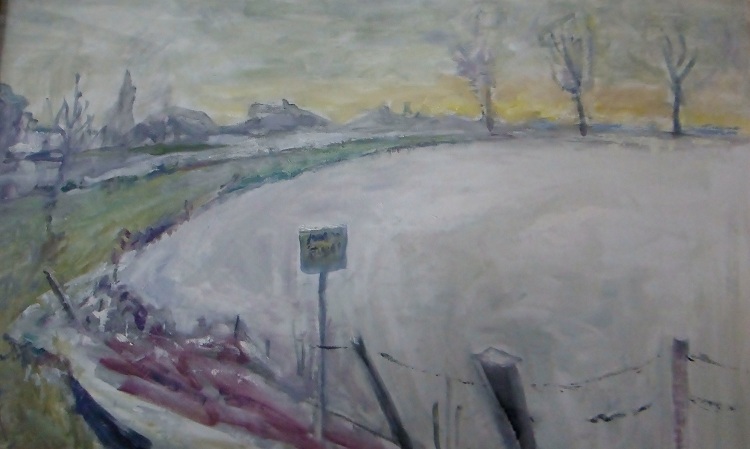 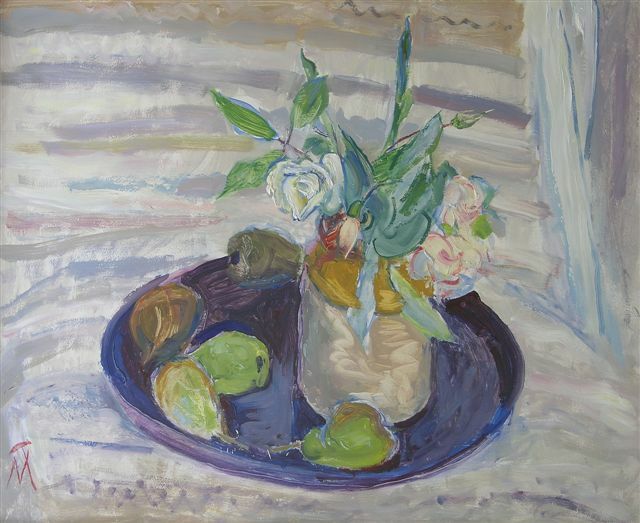 There a river flows below the huge studio window and in summer the garden is filled with shrub roses, while in winter the river, sunsets and bare trees provide Margaret with her inspiration. 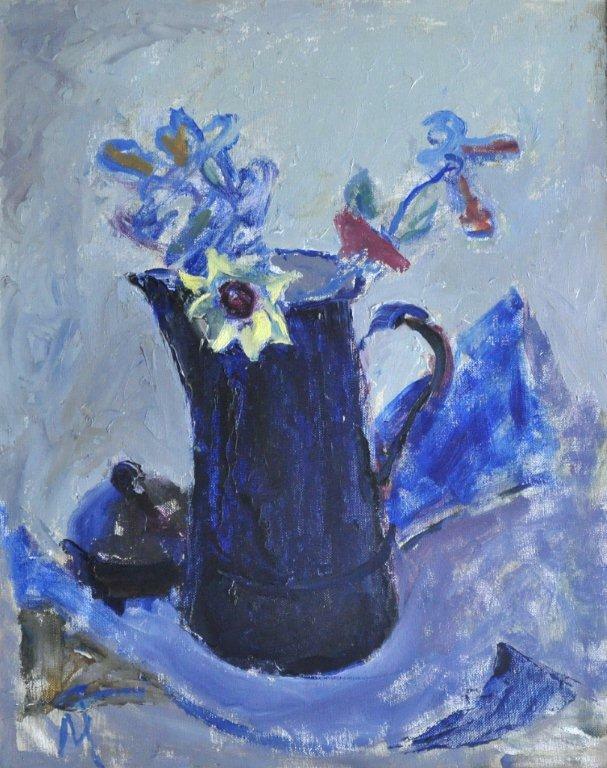 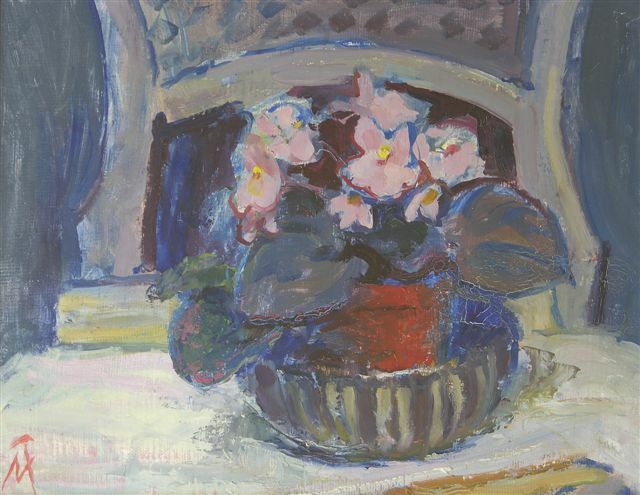 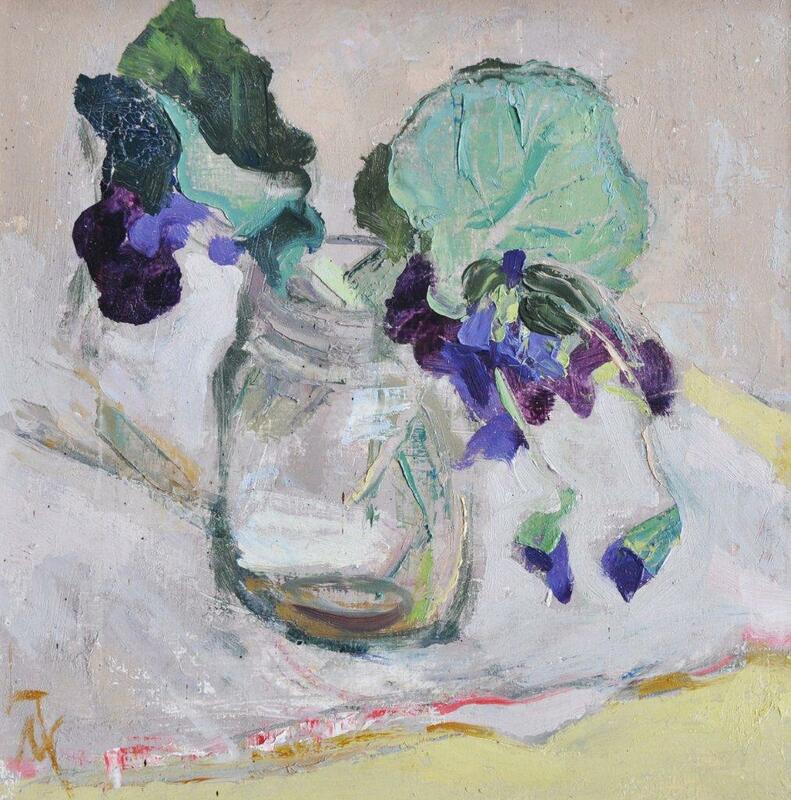 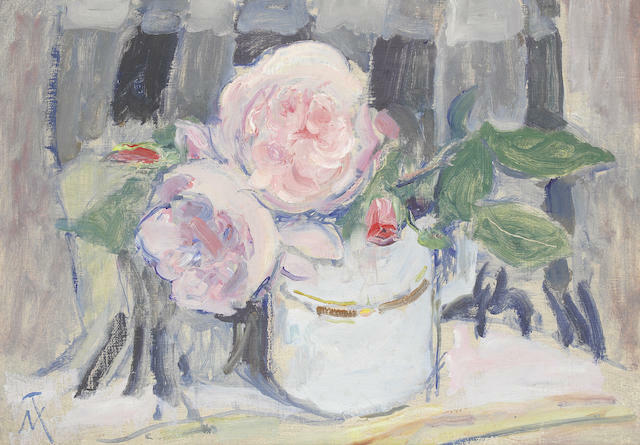 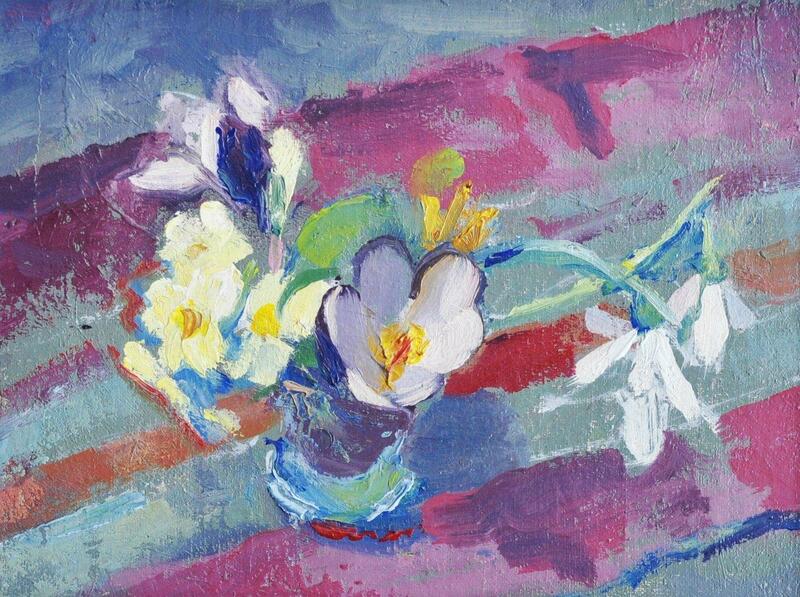 As Ian Collins says, the key influences in her work have been Braque and Philip Wilson Steer resulting in a flow, over seven decades, of evocative pictures underpinned by robust draughtsmanship and deft almost abstract design. 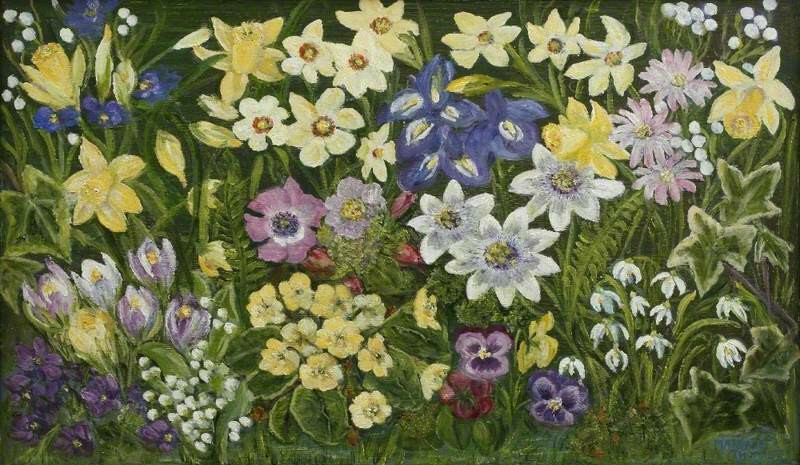 Nature in all her guises inspires her work. 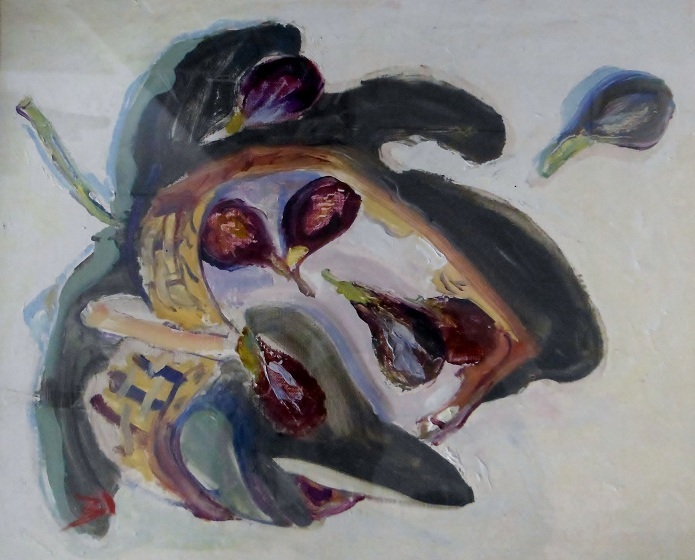 The late Peter Greenham wrote of her paintings ‘they never tell the same story twice: every picture she paints is an excursion into a country dreamt of, seen sharply, but until that moment, unmapped’.